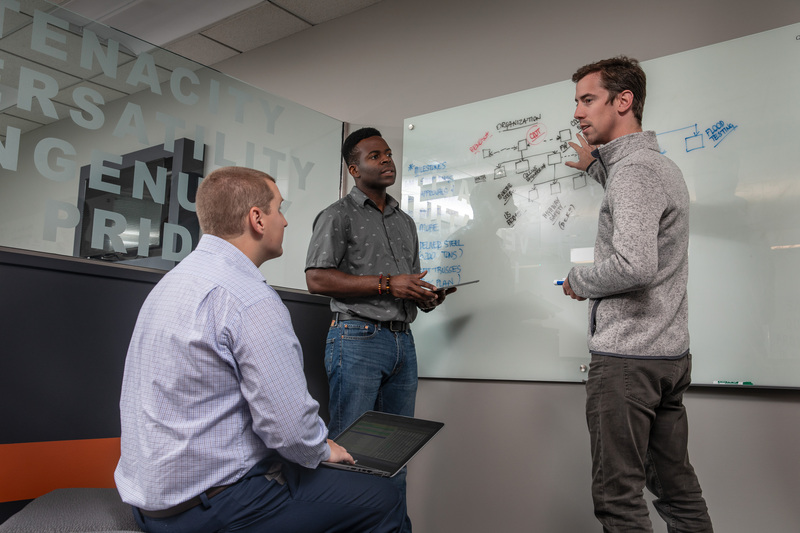 How did we create a collaborative workspace using the talents of our staff? 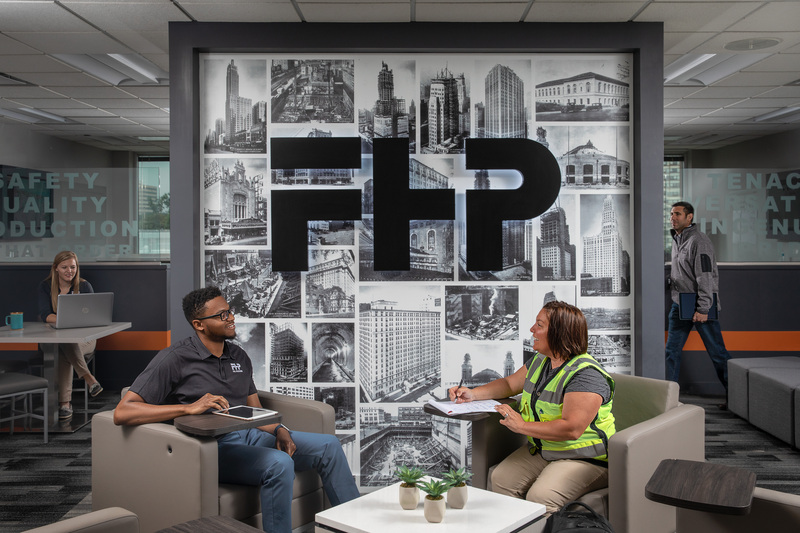 From concept to reality, our new collaborative workspace was the result of executive leadership empowering employees to invest in the future of F.H. Paschen. From there, they came up with general ideas of how to use the space better, which led to concepts of what it would look like. They enlisted Kyle Schram, Assistant Project Manager, who has a background in architecture, to come up with a design. 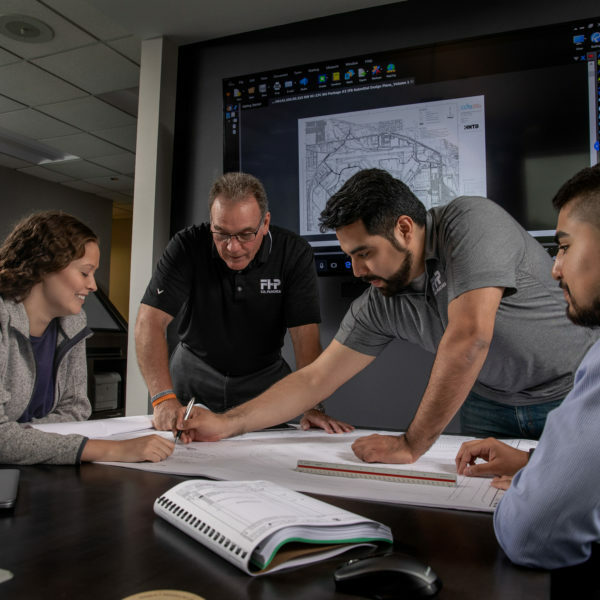 Once a plan was in place, the team was encouraged by management to present their ideas to Jim Blair, President and CEO; Chuck Freiheit, COO; and Jim Habschmidt, CFO. Once approved, it was time to incorporate other departments for input. 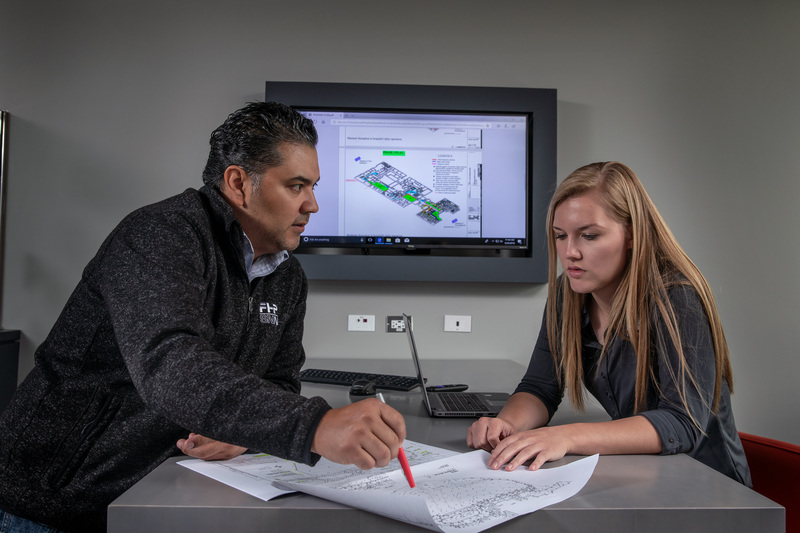 “The design really was a collaboration, with involvement from the other department executives,” said Kyle Schram. Frank Mullaghy from Building, Mark Barkowski from Civil, Anthony Izzi from PPG, and Bill Taylor from Building were all part of the process. 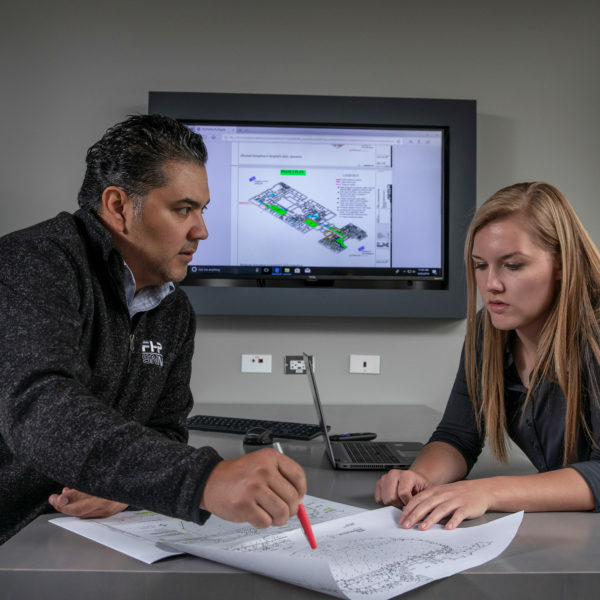 They all had input on concept buy-in, furniture, and finish selections, while PPG handled the details of construction. 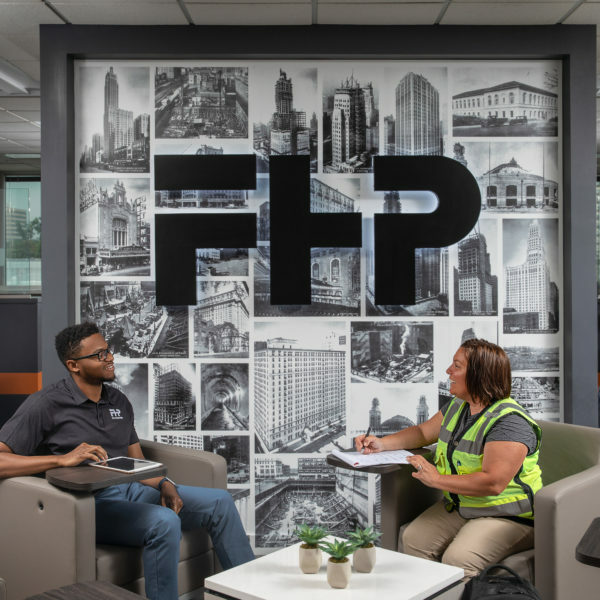 The new space is anchored by a central feature wall with a glowing “FHP” Logo overlaid on a mural of historical project images built by the Paschen Companies over the years. Centered on the elevator corridor, soft seating is immediately available to welcome guests or collaborate over coffee. 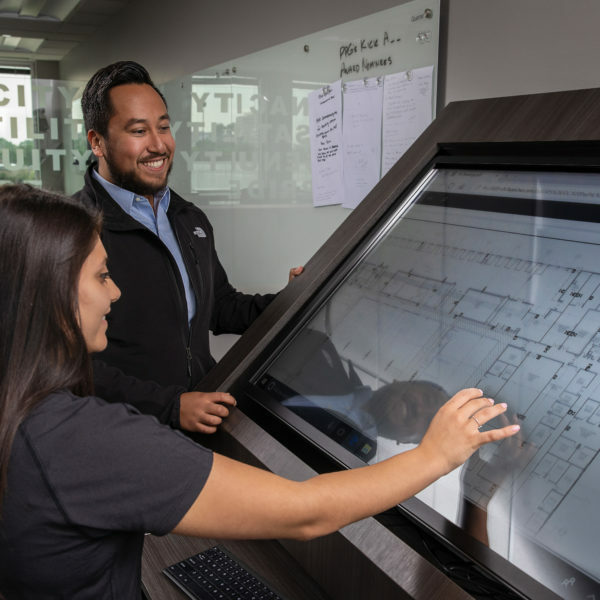 There is a custom designed, touch screen plan table to review drawings, with an expansive white board to facilitate project planning. Adjacent to the soft seating are low tables, with a hospitality counter and television. 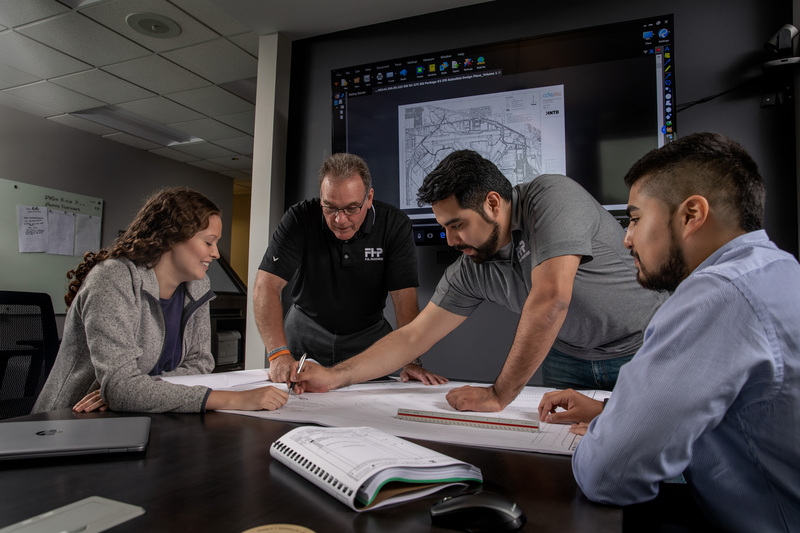 Behind the feature wall is a central, 12’ butcher block conference tabletop equipped with the latest technology to conduct presentations on a 70” monitor, suited for groups of up to 8, with the ability to use the taller seating to host larger audiences. 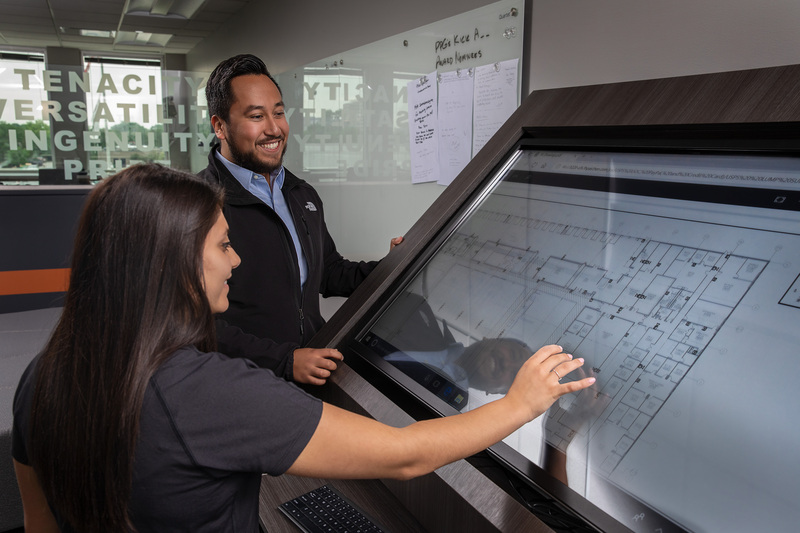 Two partial height glass walls define the space for high-top breakout tables with monitors to serve teams of four to five. Along the exterior windows is a continuous bar-height counter top to serve individuals from remote job sites or those looking for a change in scenery. The new space officially opened on May 1, 2018 with a ribbon cutting ceremony and tour. Since opening, it has been used by people in all areas of the company. 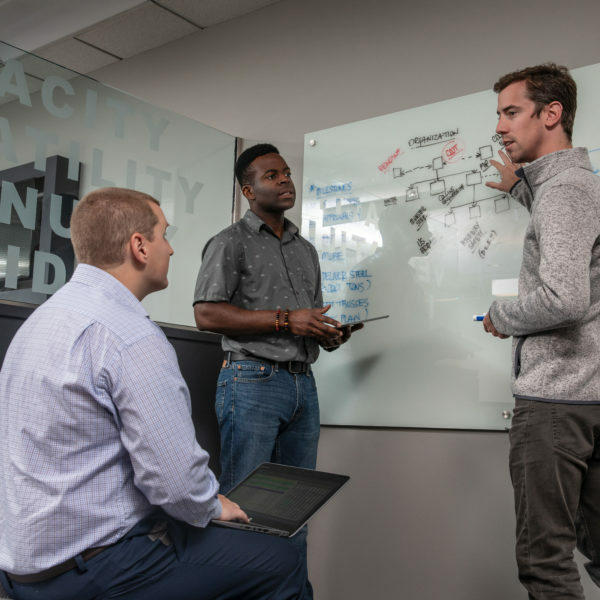 “It’s not just for PPG or the operations divisions– it’s for field people to come in and work (if they don’t have an office), and for administrative staff as well, we love that people are using the space,” said Sean Lewis.